"Truth, Justice, and the American Way"
Spoiler: Superman kills Zod in their climactic end battle. Superman snaps Zod's neck after Zod gives him, seemingly, no choice, as he threatens to kill a family with his heat vision. This is after Superman and Zod destroy nearly half of Metropolis in their absurd fight across the city. I am not one to attach reverentially to a comic's mythos. I don't think everything should be translated panel-to-panel, that every aspect of the character should remain in a film adaptation. It is important that Superman does not kill, but my issue is not only that this action breaks away from the character in the comic (which really is a HUGE issue here), but the problematic nature of the narrative itself. Mark Waid and Darren Franich have similar feelings, though I don't think they take this far enough. The problem, I feel, is this: With "Man of Steel" we were given a reflection of our society, when what the audience really needed was a response. Whether we like it or not, TV and movies are a part of our national appetite. Fifty years from now, America will look back on shows like "Mad Men", "Game of Thrones", "Dexter", "The Walking Dead" to define us. 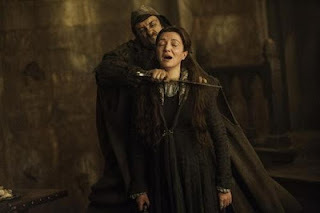 "Game of Thrones" kills off sympathetic characters because of the morally upright decisions they make. "Mad Men" peels away any glamour of our imagined ideals of that era. "Dexter" follows a serial killer that quenches his homicidal urges by killing other killers. "The Walking Dead" kills off characters all the time in an uncertain, zombie-infested world. Why do they call it the Red Wedding? Oh. These are great shows (well, mostly). And to have complex moral ambiguity is not something to condemn. But the fact that these shows resonate so much with us says something about us, because nothing exists in a vacuum. It tells us, perhaps, that we have trouble believing good will win over evil, or that anything can even be classified like that anymore. In the real world, absolutely nothing is certain. No matter what you do, and how good you are, you can get blown up, your child can be murdered at school, your own government spies on you (to save you), and not even nature is on our side anymore. "Man of Steel" had a chance to respond emphatically against this cynical appetite, this moral uncertainty. Instead, with the killing of Zod, it buys into it. Think a little bit, if you will, of 1938, when Superman was born. Any Google search will reveal that America was dealing with 19% unemployment, hitting another recession after a few years of recovery. A hurricane clobbered Long Island that left tens of thousands homeless and over 700 dead. The world was on the brink of another world war (read a history book!). Orson Welles terrifying the nation with his adaptation of "War of the Worlds" tells us that America was on the edge of panic. 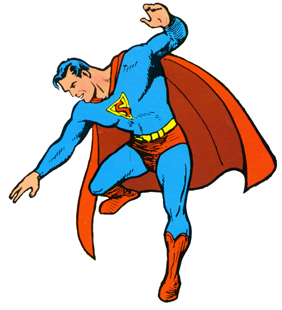 Superman, then, was a fighter for the underdog, the persecuted, the afraid. Of course the creation of Superman didn't change the world or stop atrocities. But he has remained that unflinching reaction to pragmatism, the quintessential "American" hero, a symbol of what Americans should strive for, even if we're never able to hit that mark. 1938 America needed that hero. We, with our NSA PRISM facilities, our addiction to violence, our own recession that we can't seem to crawl entirely out of, we needed that hero too. Just, maybe, for a small reminder. Instead "Man of Steel" becomes a mirror to our ends-justifies-the-means society. We have the quintessential hero kill because he "has to". We have a hero that has to harden himself because enemies will destroy you and all you love if you live by your outdated moral code. Worse yet is the context of the killing; Superman feels remorse over killing Zod immediately after he does it, but the issue of killing is never brought up earlier in the film, especially with Superman fighting other super humans in the vicinity of innocent bystanders. There is no serious discussion of morality with the most moral superhero ever. That's a problem. With the devastation of Metropolis, little is said of the scores of human casualties, as Superman and Lois stand on leveled earth, a devastated ground zero, kissing and exchanging light banter. For such a humanistic character, little humanity for others is shown. After Zod's death, Superman moves on, starts his life in the city. There is no evidence that this killing is an issue that will haunt this character. Is this always a bad message? No. But this is Superman, not Wolverine. Do we really need to get this message from him when America now exists within this dangerous framework every day? Make no mistake, Superman kills here because he is a reflection of what we believe must be done. He is still our symbol, after all. This killing is supposed to be where we feel our catharsis. Like taking down Saddam, Osama, or even Tamerlan Tsarnaev - such things have to be done in this scary world, let's cheer on the streets. This film is no different. 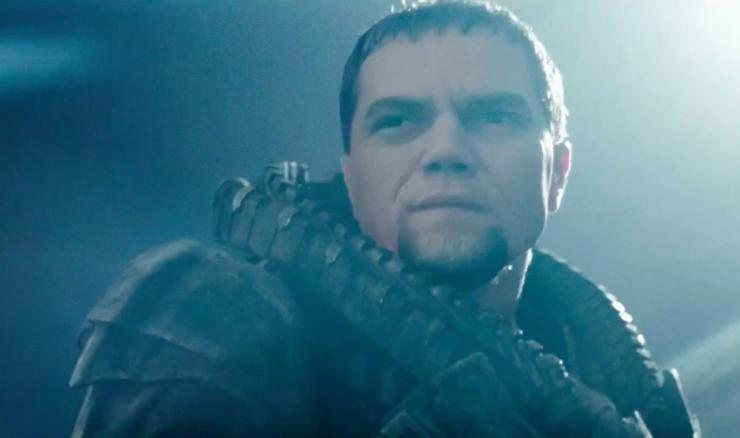 Judging by fan reaction, people are satisfied and believe Zod's killing to be necessary. But shouldn't we believe, stupidly even, that we can be better than that? I want to believe that. Superman, most of all, should believe that. He has to.